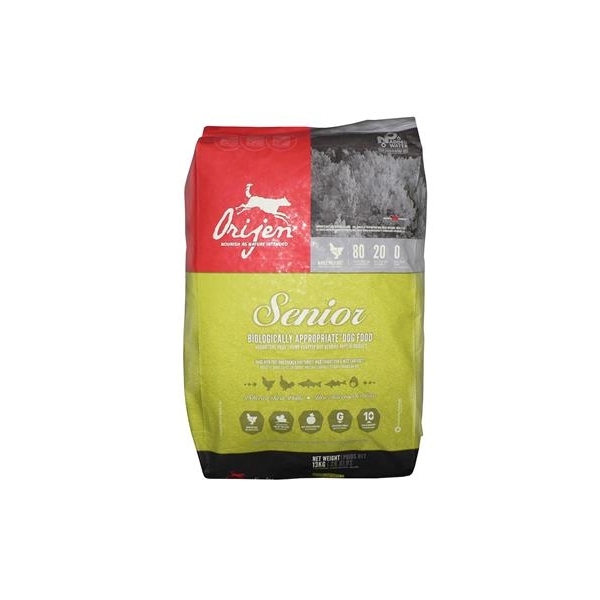 With 38% richly nourishing protein, and a limited 19% low-glycaemic carbohydrates, ORIJEN nourishes all senior dogs according to their evolutionary and biological needs. 1/3 of poultry and fish are prepared at 90°C from fresh chicken, turkey and fish to provide a concentrated source of richly nourishing protein that cannot be supplied by fresh meats alone. Nutrient-dense Whole Prey ratios of fresh meats, organs, and cartilage plus fresh whole fish and fresh whole eggs provide a natural source of virtually every nutrient your senior dog needs.